This blog post was published on the 13th of April as a shorter version on the mediakasvatus.fi in Finnish here and mediaeducation.fi in English here by the Finnish Society on Media Education. 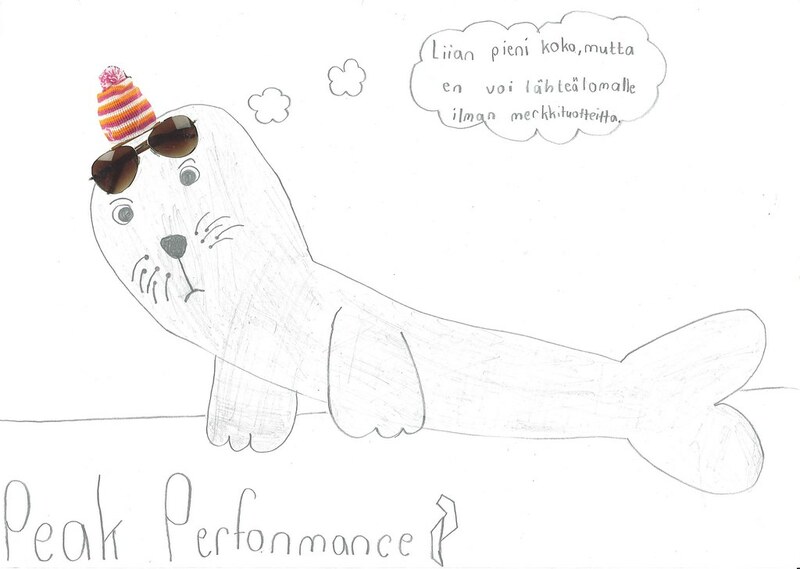 In the spring and summer of 2015, Pro Ethical Trade Finland (Eettisen kaupan puolesta ry, Eetti) runs a project called Media literacy through subvertisements. The media education project aims at strengthening 10–12-year-old children’s interpretation skills of media and marketing by developing their insights on ads, ad parodies and culture jamming at school visits, two partner schools and a children’s media education camp. In primary schools, there is demand on developing the interpretation skills of advertisements and subvertisements (e.g. anti-ads or ad parodies). Eetti’s project includes developing workshops at grades 4 to 6 and publishing a guide for pedagogues about leading a subvertisement workshop. In a workshop, media literacy and consumer culture are grasped with participatory methods: the workshop leader and the pupils discuss ethical world trade and consumerism through forming a value line, analyse the content of advertisements ranging from brands to visual effects as well as interpret critical subvertisements together. In addition, the pupils can express themselves by making their own subvertisements in small groups and presenting them to each other with the help of the workshop leader. The workshops are run and evaluated together by the project coordinator, the partner school teachers and about 15 volunteers, who participated in a workshop leader training. 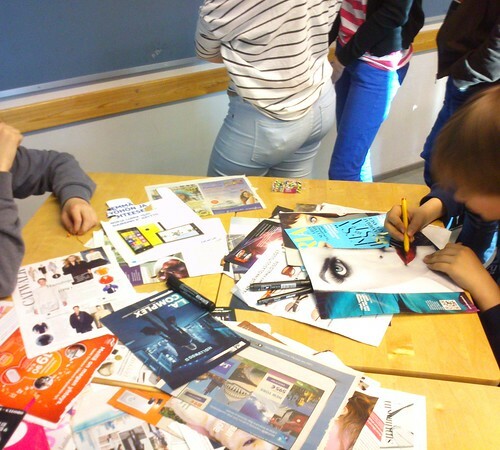 In the late spring and summer, deeper insights on ad parodies and culture jamming are developed at the partner schools and a children’s media education camp organised by Viestintäkasvatuksen seura ry, Eetti’s partner organisation on media education. The children get familiar with different types of culture jamming, such as street art, brand parody and performances, and create their own performance or installation with the organisers. The message of Jana Balušíková’s subvert ’I’m growing it’ can be opened with directional questions: Which brand has been modified? What has been changed compared to the original ad? What is the slogan in Finnish and what does the shape of the logo remind of? What is the message of the picture, is it fun or serious and why has it been made? The pilot workshops of the early spring have been challenging in time and buzz management but very rewarding in co-learning: even the youngest interpret ads and subverts rather well and the making of own subverts increases the creativity and critical thinking in the learning process. While analysing the ads and student work, there are intriguing discussions on the media use in everyday life, the aims of ads, money, brand parody, the beauty ideals and sexuality of media texts as well as the wellbeing of the people, animals and environment behind the products. On the subvert on the left, the large eyes and lips glued on top of the original ad convey the pupil’s critique on the beauty ideals and photo editing in the fashion industry and the media. On the subvert drawing on the right, the pupil group pointed out how many people look for being credible and fashionable by using famous brand products. The thought bubble reveals that “the size is too small but I just can’t go on a holiday without famous brand products” – on holiday or even in advance people might buy expensive, unnecessary or rarely used products. Moi, kiitos, kiva kuulla! Olen laittanut yhteystietoni etusivulle ’blogin lukijalle’ kohdan taakse, mutta täytyy ehkä siirtää ne ihan siihen etusivulle :) Otan yhteyttä sähköpostilla.